Dr. Lori Frank is a Senior Advisor at the Patient-Centered Outcomes Research Institute (PCORI). She previously served as Program Director of the Evaluation and Analysis department, where her research focused on bringing the patient perspective to comparative effectiveness research to enhance the meaningfulness of outcomes and to improve decision making by health care consumers and providers. 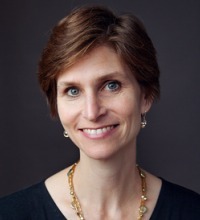 Before joining PCORI, Frank worked as a director in health outcomes and pharmacoeconomics at MedImmune, LLC, with a focus on oncology, and prior to that she spent 13 years with MEDTAP International/ United BioSource Corporation, where she was senior research leader and executive director of the Center for Health Outcomes Research. Frank's research on patient-based health outcomes assessment centers on psychiatric disorders. She initiated and served as principal investigator of the Cognition Initiative, a multi-sponsor patient-reported outcome (PRO) development consortium, and has continued in an advisory role for that work, now part of the Critical Path Institute PRO Consortium. Frank has collaborated with the Georgetown University Department of Psychiatry through an adjunct appointment, where she served as Associate Director and led the Mental Health Outcomes Team for the Center for Trauma and the Community, a consortium of researchers focusing on health care for underserved populations. Her other work addresses psychological, ethical, and legal aspects of memory screening and medical treatment decision making by older adult patients. Frank serves on the Memory Screening Advisory Board of the Alzheimer’s Foundation of America, bringing the patient perspective to this work to maximize patient autonomy and optimize patient and caregiver care decision making.